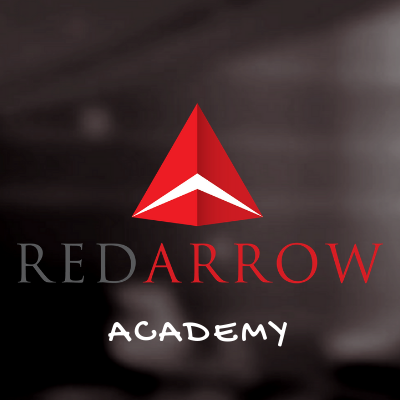 WorkflowMax4Architects is a division of Red Arrow Consulting that has been specifically set up to address the WorkflowMax implementation needs for Architects. With over 25 implementations in the construction planning and design area alone, we have consolidated our learnings into the WorkflowMax4Architects program. Architects have a unique set of project and business needs. Most software platforms available today don’t have the capability to live up to these needs. This is why we offer this powerful financial project management tool for architects. WorkflowMax is capable of combining quoting, job management and an invoicing system that is tailor-made for this profession, all from one centralised location. WorkflowMax is a specialised project management application that gives actionable and real-time information of a project’s profitability. For a business owner, it’s a cost effective way to have a stable and solid platform which effortlessly combines quoting, job management, and an invoicing system. It’s a key component to driving results and improving visibility and efficiency across the organisation. An experienced business consultant can save business owners time and money. It removes the trial and error process that a lot of business owners go through when they’re trying to implement new systems and processes. In the architecture industry, mistakes can be costly. Any business owner wants to avoid them if it’s possible. A lot of business owners concentrate on the day-to-day operations and they lose sight of the future goals. Our business consultants can help business owners take a step back and create viable strategies for expansion and growth in the future. Our consultants know what it takes to get to the next level. As we help companies get their new processes and systems in place, they may start to notice new opportunities for growth. If a product or service rapidly sells, our business consultants can help the business owners implement a plan to stay on the lookout for opportunities and maximise any profits or sudden growth. Hiring an experienced business consultant can give the company a third-party objective view. They’ll also give an honest evaluation of the day-to-day operations. Our goal is to offer an objective view that can help implement better plans for the future. Many business owners wouldn’t be prepared if they had a sudden increase in the demand for their products or services. One of our business consultants can help to ensure that the companies we work with have a plan in place to help spread the additional workload around and keep the business running smoothly and efficiently during growth. Whether you’re a brand new business owner, or if your business is established but not growing as you think it should, one of our experienced and professional business consultants can sit down with you and help get on the right track. We’ll guide your business through our four-stage process to help lay the groundwork for a strong and powerful business model. We’ll help to ensure that your business grows sustainably. In addition to the numerous benefits we touched on above, there are several other reasons why WorkflowMax is the perfect financial project management tool for architects. While it does seamlessly connect and encourage pathways between jobs and your software, it also performs other important features. When architects use this software, they’re able to manage their business from anywhere. Whether they’re on a remote job site, in a meeting with a client or on holiday, this software lets them seamlessly connect with their staff or subcontractors. Architects can also track their job from the start to the finish. This includes coordinating with staff, council, clients, engineers, subcontractors and fabricators. Finally, knowing what types of projects earn an architecture business the most profits and which projects the business is undercharging for is critical to determining what types of projects that the business wants to take on in the future to encourage growth and expansion. At Red Arrow Consulting, we are a WorkflowMax Certified Integrator, and we’re ready and willing to help you find the best solution for your business’s needs. There are over 30 different add-ons that you can choose to implement with your WorkflowMax 4 Architects platform. Additionally, we have three different offerings that our clients can choose from. We understand that your business isn’t a one-size-fits-all operation, and this is why we offer two different ways to implement the WorkflowMax processes. We work with the business owners to ensure that they select the correct offering to maximise their business’s potential. The Details: WorkflowMax offerings for our customers. We provide two specific service offerings to every business that we believe WorkflowMax will benefit from because we understand that each company we partner with is unique. Please feel free to contact us to discuss what is the best option for you and your business. We offer a FREE 30 minute consultation to help get you started on the right path. One of our most popular offerings is 1 on 1 with a consultant. This allows our staff to come onsite and walk your business through the implementation process. We’ll come to your business from day one and help to ensure that this shift goes as seamlessly as possible. This offering helps to ensure that business owners have all of the support and staff that they need to implement WorkflowMax into the existing business model. We’re on hand in case any problems arise or there are complications with the system that need immediate attention. For business owners who want a little more freedom, we offer an online implementation process where the business owner implements the WorkflowMax system on their own with help from one of our consultants. We have a consultant on-hand who will set up the system at the start of the implementation process, and then they’ll periodically check in with the business owner. This is done remotely, and it allows the business owner to explore this financial project management tool for architects on their own with little input or direct help from our WorkflowMax Certified Integrators. Your FREE 30 minute consultation with an expert. We firmly believe that continued support and accountability is critical to a business’s success and growth, and that the WorkflowMax software is a powerful tool to help architectural businesses stay on track when they take on different types of projects. This is why our business consulting company in Sydney offers so many tiers of support and such a thorough scope and interview process. We want to help business owners take their businesses to the next level and expand beyond their long-term goals with a healthy and thriving business. +61 407 233 411 Contact Us Today – Let us help you grow your business successfully.